Invisible to most, opioid addiction is taking the lives of so many homeless Bostonians. Boston Healthcare for the Homeless is one of the leading organizations working to fix this crisis. Through the launch of the SPOT treatment center, BHCHP has been saving the lives of hundreds, while moving 10% of all visiting addicts into recovery. Bostonians need to know about the incredible effort happening in the community, and their donations are essential to saving more lives. 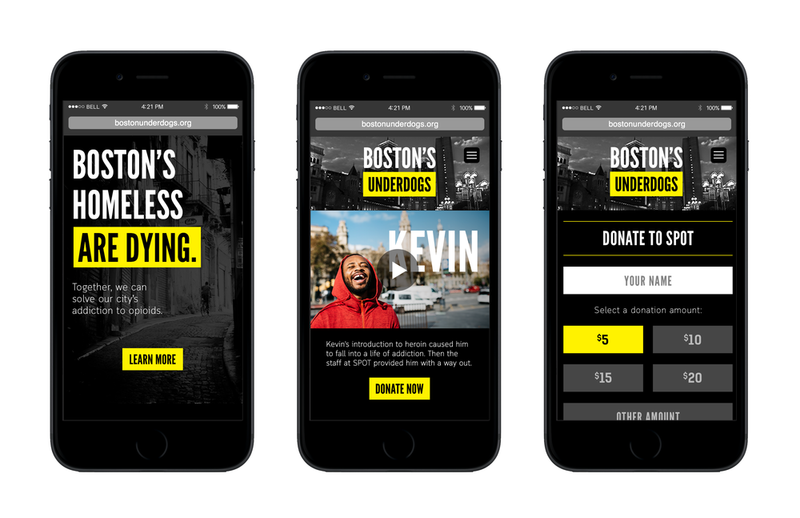 As a result, I helped develop a brand campaign to show that homeless addicts are Boston's true underdogs. They have grit and resilience, but they need a second chance from their fellow Bostonians to bounce back.